If you find it\'s difficult to hearing very well from others, a hearing aid can help you regain your hearing so you can live the life you are used to. 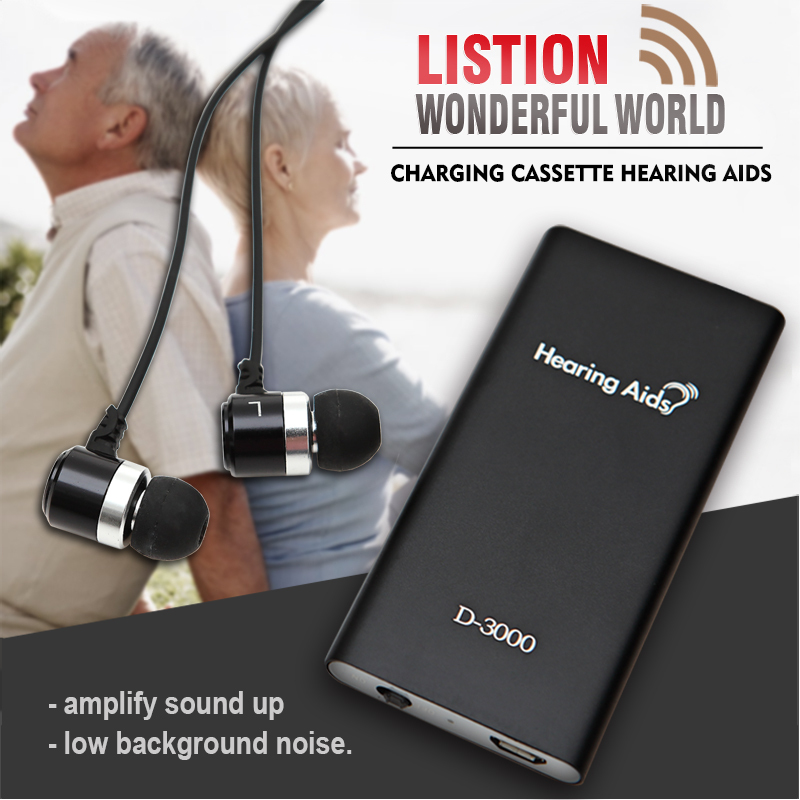 This hearing aid is specially designed for the hearing losing people. Wearing it, you can discover the pleasure of gathering with friends and family, feeling more confident at work and enjoying movies, music and TV programs. 7.Full use of the ear structure to design the appearance of the hearing aid, which makes it perfectly fit wearer\'s ears for a comfortable wear. 8.Helps to amplify sound with low background noise, you can discover the pleasure of gathering with friends and family, feeling more confident at work and enjoying movies, music and TV programs. 9.You can hear clear and natural sound, no embarrassing, no shame when seeing and visiting your relatives, friends. 10.Simple to use, no complicated program and operation, specially designed for the elder. 11.Three times can be standby for a month, which is super power efficient. 12.A bone conduction headphones with two earphones. If the squeak is happening, please switch off the headphones first, then adjust the both volume to minimum, switch on the headphone again, and adjust the volume higher to appropriate again. Now product update, some with logo sainthealth but some not. But product are all the same. we print logo sainthealth on the device in order to make it well known to us all. Thank you for understanding.